Mariner's pharmacists can provide flu shot and other immunizations including Hepatitis A and B, Pneumonia, Shingles, Tetanus and more. Our specially trained pharmacists who have completed an extensive education program will administer the immunizations. The Centers for Disease Control is recommending that everyone over the age of 6 months get vaccinated this year with the flu vaccine. Certain vaccinations may not be available at the time of walk-in but certainly would be available if pre-order. 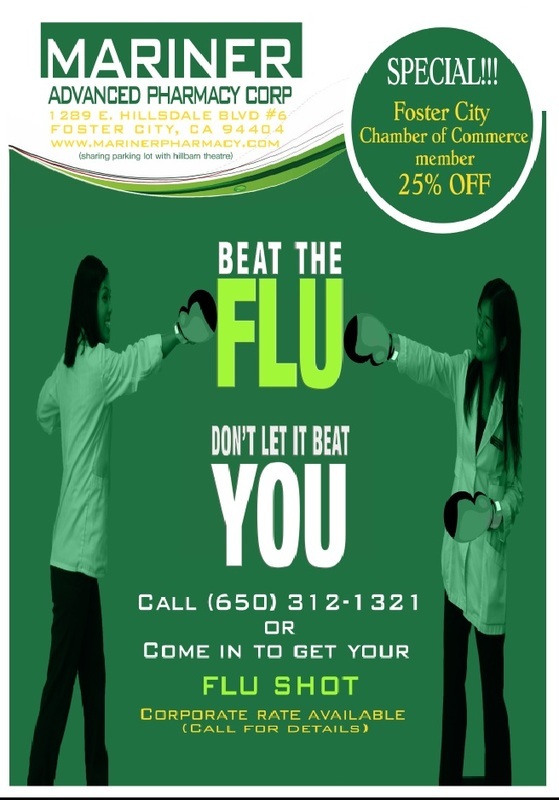 Please contact our pharmacy to check availability and to schedule your flu shot or vaccination. Who needs it?Catch-u﻿p immunization for children over 1 year of age. Adults wanting to prevent Hepatitis A. How often should I get it?Two doses are needed for lasting protection at least 6 months apart. How often should I get it?A series of three doses birth, 1 month and 6 months of age. What is this for?Prevention of complications due to infection with Streptococcus pneumoniae. How often should I get it?For adults 18-65 one dose. For adult over 65 repeat after 5 years if initial dose given before age 65 and adult now over 65. How often should I get it?Booster every 10 years with Td. One dose with Tdap.